We all know that factors like backlinks, keywords, and bounce rates are important search ranking factors. But there’s still a lot of confusion about social signals, and their impact on a website’s ranking. Reputable sources like Moz and Backlinko have reported that social signals are among the top Google ranking factors. While this is technically correct, it’s important to note that there is no direct impact of social signals on your ranking. According to the previous head of Google’s Web Spam team, Matt Cutts, there may be a correlation between social signals and search ranking. But Google doesn’t use these signals as a direct ranking factor. This is mainly because there are several limitations that prevent the search engine from crawling and indexing social media content effectively. Limitations in Access – Matt stated that Google can’t always crawl every single page on social media channels like Facebook and Twitter. And sometimes, they may even get blocked from crawling these sites. This prevents them from accurately ranking websites based on the performance of their social media pages (individual social media posts). Limitations in Accuracy – Google may have limited abilities to extract accurate data from social profiles and pages. The data on these pages could change at any moment. For example, a user may change their employment information. This would then deem their previously-collected information inaccurate.Matt also stated that Google doesn’t use signals such as the number of social media followers for search ranking. This is again because of limitations in accuracy. A user’s following size could change at any moment. They may block another user, or gain several new followers at any time. And because Google cannot actively keep up with these changes, these numbers do not factor into search ranking. Based on these statements made by Matt, you can see that there’s a good reason why Google doesn’t use social signals as a direct ranking factor. But again, that doesn’t mean that social signals have no impact on your search ranking. We’ll be talking about this in the next section. Another big question is whether there’s proof that social signals impact a website’s ranking in search. Cognitive SEO conducted an extensive study which found that a correlation actually does exist. They analyzed more than 300,000 pieces of content and their social signals. What they found was that there is a correlation between having a strong social media presence and better search ranking. In other words, those who rank towards the top of the search results pages tend to also have a stronger presence on social media platforms. There’s also a correlation between a high amount of shares on social media and a higher search ranking. In other words, pages that rank high in search results also tend to have a higher amount of overall shares. This is especially true in the case of Facebook and Google+, but not as much with Pinterest. 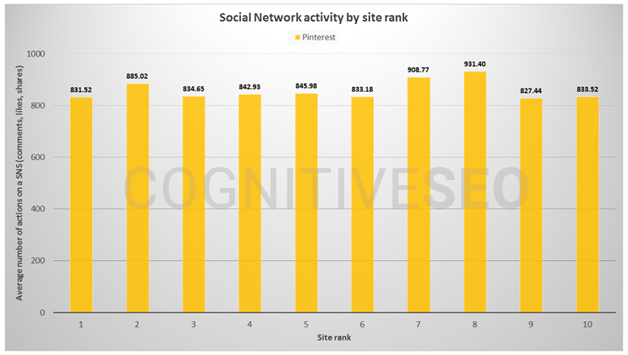 The Cognitive SEO study also found that, on average, the top 4 ranking positions normally have more activity on Facebook in terms of likes, shares, and comments. And the top rank has a significantly higher amount of Google+ shares. This suggests that activities on both Facebook and Google+ have a massive impact on search ranking. But activities on Pinterest and LinkedIn do not have the same correlation with search ranking. Although there’s a disparity between how activities on various social media channels affect search ranking, you already know that your social media presence does affect your ranking. And this proves that there is an important correlation between social signals and a website’s search ranking. You may be wondering why the correlation between search ranking and social signals even exists. How could your presence or activity on social media possibly affect how you rank in search results? 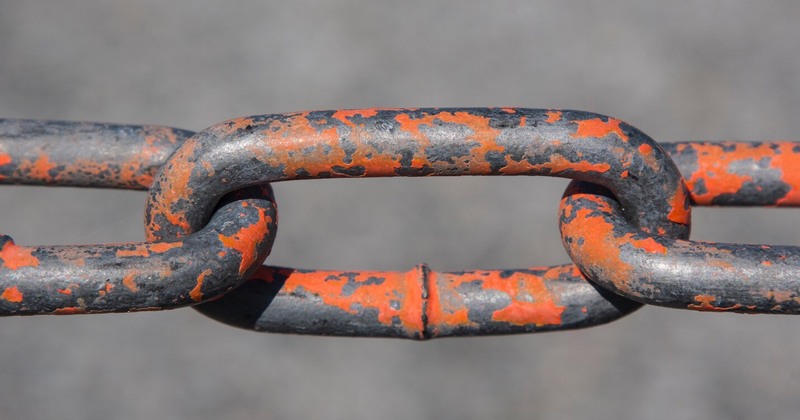 Link Signals from Social Shares – You already know that link signals play a crucial role in search ranking. The quantity and quality of links to your website or webpage can directly affect your position in the search results pages. And social shares count as link signals. The more people who share your content across various social media channels, the better your ranking could be. Impact on Site Traffic – Another important search ranking factor is website traffic. The more traffic you get, the higher you’ll rank. And with more activity on social media, the content you share could gain more visibility. Higher visibility also means that there’s a better chance of reaching more people, and getting them to click on your links.These click-throughs will result in a boost in your site traffic. This can then translate into better search ranking. Which suggests that social activity could significantly affect your position in search results. Impact on Domain Authority – A high Domain Authority (DA) can also result in higher visibility in the search engines. Although there are many metrics that could determine a website’s DA, social signals could have some impact as well. For example, one of the metrics used for calculating DA is your link profile. And with social shares improving your link profile, there can be an indirect impact on your Domain Authority. Which, in turn, can impact your search ranking. 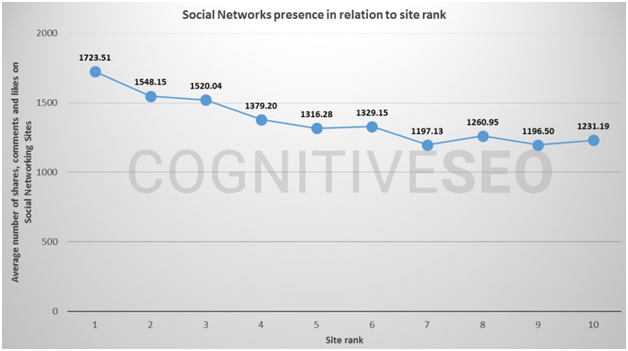 The previous sections have established that there is a correlation between social signals and search ranking. Now let’s get to the most important part – what can you do to improve your social signals and boost your blog’s visibility. The previously-cited Cognitive SEO study found that social media presence plays a major role in search ranking. But to improve your presence, you need to gain more followers. And to gain more followers, your profile needs to be more visible. In other words, you need to make sure potential followers can easily find you. And you can do so by using keywords to optimize your profiles. Pick a keyword relevant to your niche – whether it’s technology, politics, finance, travel, or fashion. Then use that keyword to optimize your social media bios and descriptions. 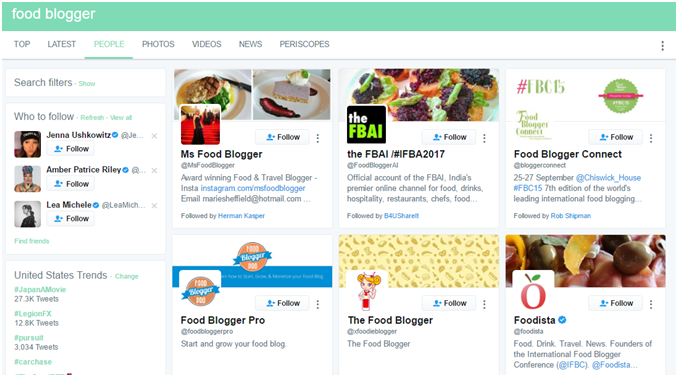 This can improve your chances of getting discovered by potential and relevant followers. If you produce good content, and have enough followers, there’s a good chance you’re going to generate a lot of social shares. You may already be writing useful and engaging content. But there’s always room for improvement. You need to create content that is not only helpful to your audience, but also captivating. Get your existing subscribers involved to determine what they like to read. You could conduct a poll, and ask them what they’d like to see more of on your blog. For example, maybe they want you to produce more how-to articles, and less list articles. Or maybe they’d like you to cover certain topics that you hadn’t thought of before. Either way, this can help you understand what your audience is looking for, so you can create content to meet those needs. In addition to this, you could also research trending topics and popular articles in your niche. 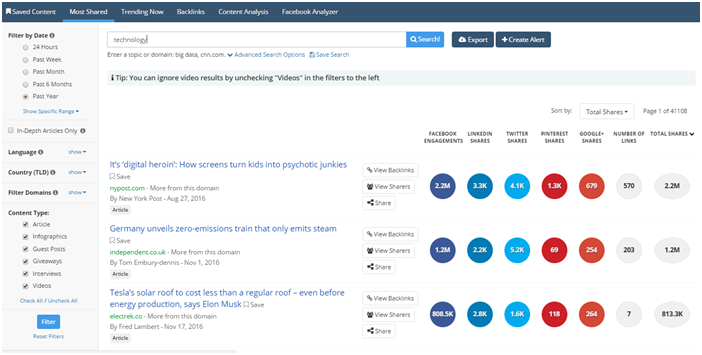 BuzzSumo is an effective tool for this. Using this tool, you can find out which topics are performing well recently. And you can also find your competitors’ most popular articles. This will help you with new content ideas. Perhaps you can write a more detailed and more helpful piece on the same topic one of your competitors covered. Or you could repurpose an article into visual content. As you can see in the screenshot below, you can find the most shared content or articles that are currently trending. You can also filter the results based on the content type, date of posting, etc. This can help you jump in on a trending conversation, or create valuable, evergreen content to engage your audience. In addition to optimizing your social media profiles with relevant keywords, you should also use them to optimize your social media posts. The goal is to make sure that your content is easy to discover by relevant social media users. You can use the keywords in the captions and titles of your posts. And you can also use them as hashtags to further improve the post’s discoverability. For example, if you search for the keyword, “money saving,” on Facebook, the top search results will be posts that include the keyword. As you can see in the screenshot below, one of the top search results has used the keyword. 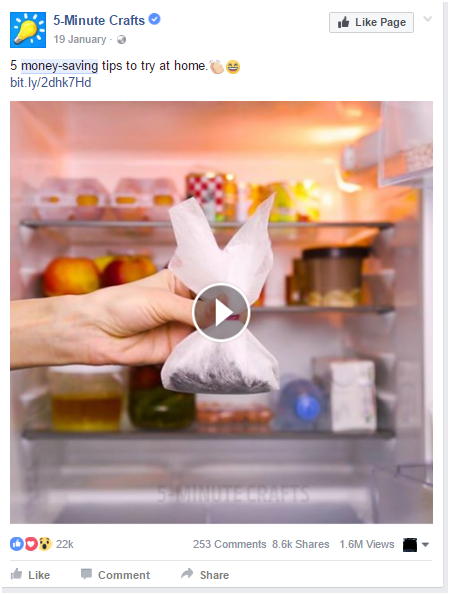 This post has about 22,000 likes, 200+ comments, and about 1.6 million views. When you share a blog post on Facebook, Twitter, or any other social media platform; you’re doing so in order to get people to click on it. You want them to visit your blog, and read the post. Some people may click on the link without any additional incentive. But there’s no harm in giving them a gentle nudge. To do so, include a call-to-action to tell people what you want them to do. Maybe you could encourage users to, “try this easy recipe,” or “use these tricks to save more money.” Or you can make it even shorter by using CTAs like, “check it out,” or “click here.” In addition to encouraging clicks, you can also write CTAs that encourage more shares, likes, and comments on your post. The following Facebook post by Digital Photography School is an excellent example. It doesn’t just invite people to click on the link to read the tips. Instead, the caption asks whether people have tried what the article is talking about. 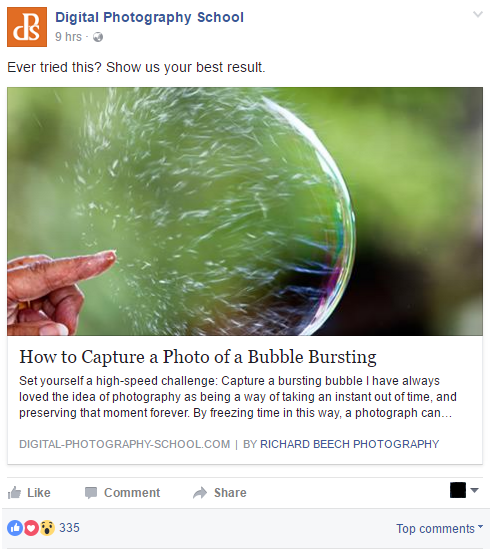 The article provides readers with tips on how to capture photos of bursting bubbles. And then the caption encourages people to show their best results. This makes for an excellent CTA, as it is indirectly encouraging people to try out the tips. Images immediately grab attention, especially on social media. People may aimlessly scroll through their news feeds, but seeing an eye-catching image could make them linger on the post longer. And this could improve your chances of driving click-throughs. Even if some users do not click on the accompanying link, it still improves your chances of driving more engagement. Neil Patel discovered the importance of images on social media when he experienced improvements in his traffic. Neil regularly shared the latest Quick Sprout blog posts on Twitter, which would normally just include the article headline, and a link to the post. But once he started adding images with a link to the new blog post, he saw that his traffic from Twitter increased by 108%. So instead of relying on the automatic preview, accompany your posts with a relevant image. For infographics or studies, you can even include a photo that will give people a brief idea what they can find learn from the post. 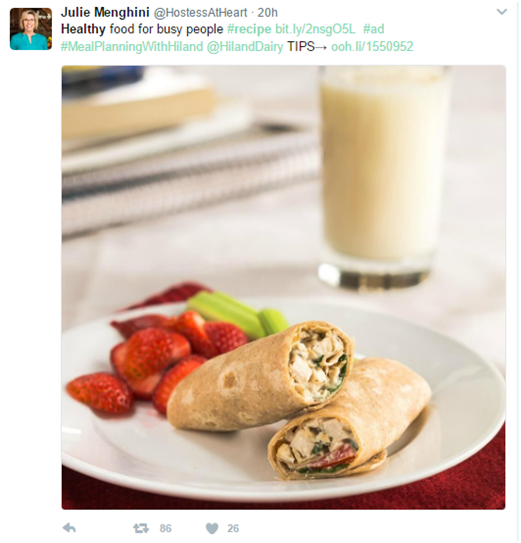 The screenshot below shows a Twitter post in which the user shares a link to healthy food for busy people. She has included a photo of one of the dishes to attract a larger audience. We’ve thoroughly discussed the correlation between social signals and search ranking. Now you understand the actual impact of your social media marketing efforts on your blog’s ranking. And you also know exactly what to do to improve your performance. But if you have any doubts or questions, feel free to share them in the comments below.